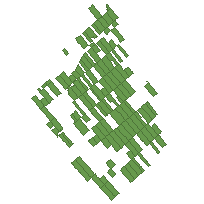 An Agreement Forest Area is a polygon feature that identifies an area of forested private land governed by a Forest Management Agreement. Private companies have agreed, through negotiated agreements with the Ministry, to carry out planning and all operational timber management, except protection operations (that is, insect and disease pest control). To identify the location and types of Agreement Forest Areas which are commonly found on maps for forest management purposes. Spatial locations and attributes are maintained by the OMNR's Natural Resources Values Information System (NRVIS). Additional Time Period Information: Data is collected on an on-going basis therefore the time period 'end date' may be more recent than indicated above. Horizontal: Approximate: +/- 500 m; Vertical: Not Applicable.